Wednesday, 27 September was the official opening of Derby’s new STEM Centre. 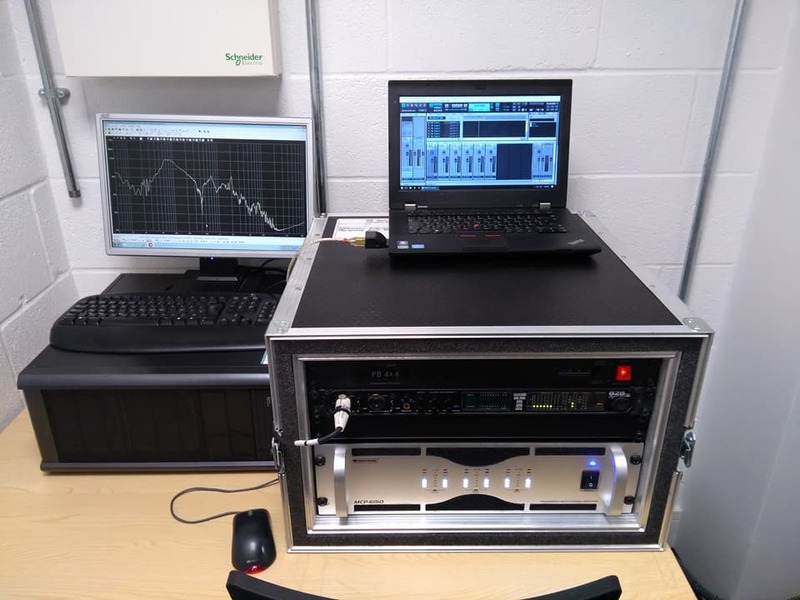 Within the new building our department has gained new labs covering electronics, communication technology and computing, and – most importantly – a hemi-anechoic chamber. To officially open the building, HRH The Earl of Wessex (Prince Edward) attended the ceremonies. 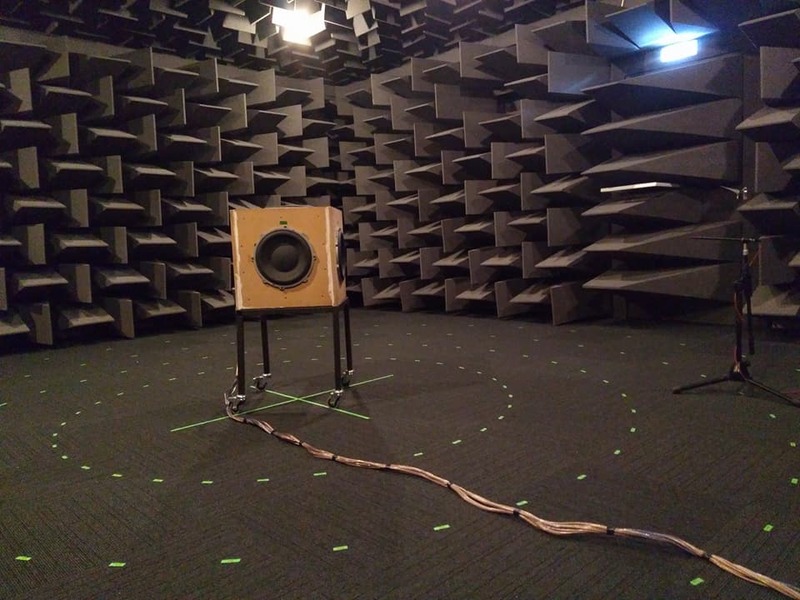 As part of his visit, HRH visited the hemi-anechoic chamber. Dr Adam Hill was on hand to demonstrate the new facility to the Prince and Derby’s Vice Chancellor, Professor Kathryn Mitchell. Adam gave a brief explanation of the various uses of the chamber, using his chameleon subwoofer prototype, which he originally developed in Professor Malcolm Hawksford’s Audio Research Laboratory at the University of Essex. HRH was quite impressed with the space and impressed Adam with his knowledge of loudspeakers. He commented that it was quite remarkable that the core loudspeaker technology has essentially remained unchanged for over one hundred years, although current technology uses clever DSP and arraying methods to improve performance. After his visit to the hemi-anechoic chamber, HRH continued to tour the new engineering labs and eventually unveiled a ceremonial plaque in the STEM Centre’s courtyard. Dr Bruce Wiggins was on hand as a senior academic to meet and chat with HRH. Following the HRH’s visit, various VIPs from Rolls Royce, Bombardier and CERN, to name a few, visited the chamber where Adam and Bruce were on hand to give demonstrations. All in all, it was an extremely enjoyable grand opening. We’re very excited about the new chamber and have already been using it extensively for teaching and research. Now we’re eagerly awaiting the arrival of some state of the art new equipment from G.R.A.S. to complement the chamber. Stay tuned! What is subwoofer array efficiency, anyway?